As back-to-school shopping season kicks into high gear, it may seem like money is on everyone's mind — but that doesn't mean our kids have a grasp on it. 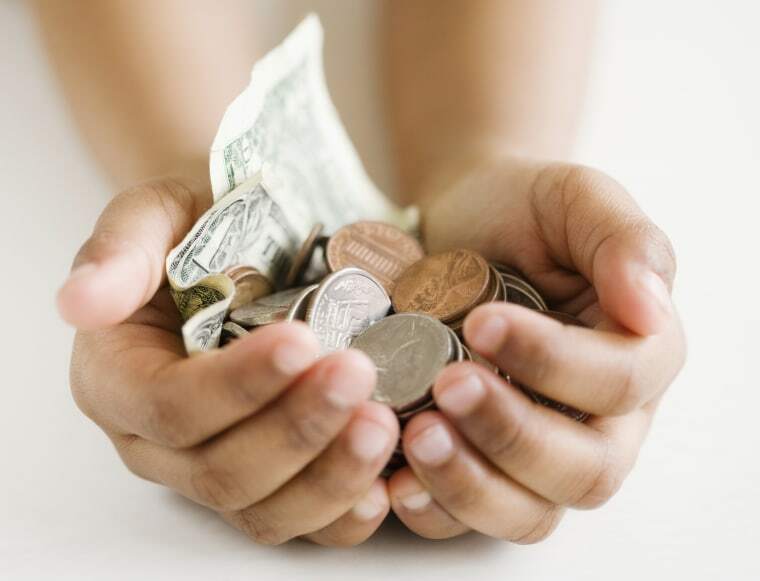 According to the 9th Annual T. Rowe Price Parents, Kids and Money Survey, more than two-thirds of parents still have some reluctance to talk about money, and nearly as many only talk about it when their kids ask about it. That's a mistake. The same research revealed that parents who talk with their kids once a week about money are significantly more likely to have kids who say they are smart about money. And those who let their children decide when to save and spend their money on their own, reap some serious rewards. Those kids are less likely to spend money as soon as they get it, lie to their parents about what they spent money on, and even exhibit materialistic behavior like expecting you to buy them what they want when they want it. But what sort of knowledge are your kids ready for at what ages? Here's what we know about developmental milestones. By age 3: Kids start to learn counting (and that you should only count things once), and comparing (which is bigger, smaller, heavier). At 4: They understand shopping and that you use money to buy things. At 5, 6: They start to understand the concept of exchange — that you have to pay for merchandise before you take it out of the store, and that you can’t use that money again or make a different choice. At 7: They start to understand value. Younger children will choose 5 pennies over a nickel. By 7, they get that they’re the same. This is when lessons about earning money and that they can exchange time for money tend to kick in. At 8: They start to differentiate now from years in the future. That’s really, really important as we start to talk about saving for tomorrow. So, how do you make sure the lessons stick? Here are a few guidelines for toddlers through elementary school kids. Right now, in our world, money is less visible than it’s ever been. We’re paying with swipes, Venmoing our friends, depositing checks automatically, and trading in cryptocurrencies. Many adults don’t understand all of that, we can’t expect kids to. They need to see money and use money — good, old fashioned cash. Start with three clear jars on their dresser. One for saving, one for spending, one for giving. Some families — particularly when their kids are very young — split the money into thirds. Others put one-quarter into saving and giving and half into spending, because it’s very important that the kids actually use the money to buy things (more on that in a moment). Saving for savings sake doesn’t work. Your kids actually have to be saving for something. Then, help them figure out how long it will take them to get there by creating a goal chart — like a growth chart — broken into benchmarks (like days, or weeks, or for very young kids, sleeps — how many sleeps until I can buy those Pokemon cards). Related: What's the Best Gift for Your Kids? There are a number of ways kids get money: Birthdays, the tooth fairy, earning it, but also as an allowance. Most parents do allowance wrong. An allowance needs to come with a list (that grows as your kids age) of things you are not going to buy but that your kids have to buy themselves. For very young kids, this could be snacks in the checkout line at the grocery store, as they get older it could be things like trading cards, for teens it could be gas for the car and their own clothes (and the allowance needs to grow to cover an appropriate amount of these things). I think starting an allowance when a child starts school works well. You can start at a dollar or two and go up a dollar a year. What you’re teaching with this is a) that money is finite — they only have so much and they have to make decisions about how to use it, just like adults do and b) that they have to choose what things are most important to them. If your child is saving for even a relatively inexpensive toy or experience, at $1 or 2 a week, that can take a really long time — particularly if you’re asking them to save or give some of that money. The point is that you want them to succeed, not fail, in their attempt to save for something. So, you can do a couple of things to help them. Match their savings: You can help them by starting a home-grown 401(k), essentially matching their savings to help them get to their goal faster. Post a list on the refrigerator of jobs that they can take on to earn additional money. I don’t believe allowance should be tied to chores — I believe chores should be something you do to be part of the family (and there’s always the off chance that a kid not motivated by money will just pass on the allowance to get out of doing the chores). These have to be different. Wash the dog. Sweep out the garage. Get creative. The bonus: When kids earn money it means a lot more than money you give them. Finally, there’s one more rule you have to follow, particularly with young kids — because if you don’t follow it with young kids it’s much harder to do it with older ones. Don’t bail them out. If they buy something with their allowance or savings and have regrets, or if they lose a few dollars, there are lessons there — don’t give them money to buy another candy bar.